Regiment: Royal Marines Light Infantry. 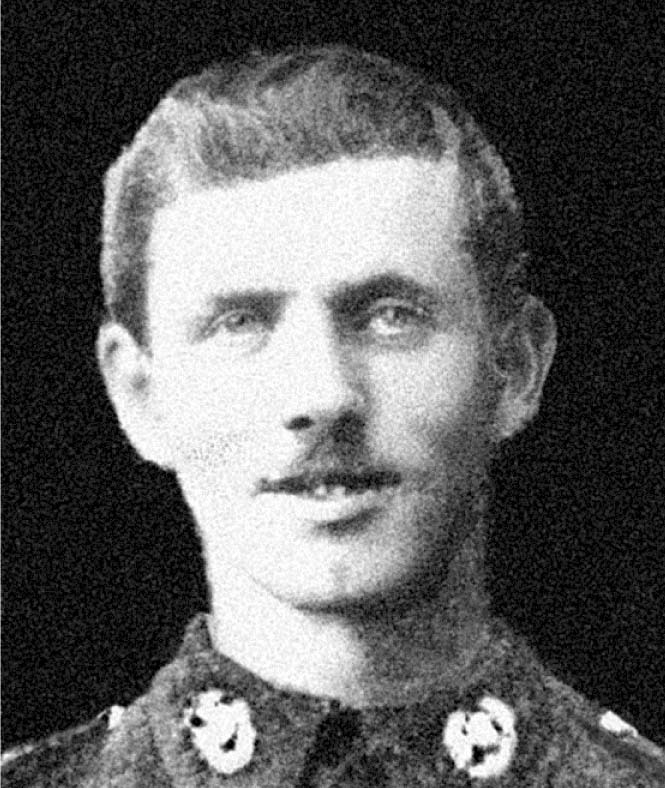 Frederick Albert Davis enlisted at Exeter with the Royal Marines on 1st July 1898 at the age of 15 and four months and eleven days. Until his 18th birthday he was a bugler. In 1901 he was a Private, aged 18, in the Royal Marines, based at the Barracks, Durnford Street, East Stonehouse. He was passed for Corporal, 2nd class in March 1905 and then for Sergeant, 1st class in January 1907. He passed for Gun Layer 3rd class in August 1911. He appears to have had a good career in the Royal Marines. He joined H.M.S.MONMOUTH in August 1914. At his death Fredrick Albert Davis was a Sergeant, Royal Marine Light Infantry, service no: 8823 (Ply) and serving aboard H.M.S.MONMOUTH, a cruiser. H.M.S. MONMOUTH was one of the British Cruiser squadron that engaged a superior German group at the Battle of Coronel, off the coast of Chile, on 1 November 1914. In the engagement the ship was hit and sank with all hands. The body was not recovered for burial. Fredrick Albert Davis was one of ten children of John George Davis (1853- ), a carpenter’s apprentice. Following the death of his first wife, Frances, he married Mary Ann Evans (1858 – 1900) in April-June quarter of 1882. They had four more children, including Frederick Albert Davis. Frederick married Edith Bessie Wright in the April-June quarter of 1908 in Plymouth. They had a daughter, Phyllis Mary Davis, in 1909.